It appears the watchOS 5.1 update that was released this morning is causing problems for some Apple Watch owners. Multiple MacRumors readers have had issues installing the new software and are reporting that the update has bricked their devices. Customers who are affected are seeing their Apple Watches stuck at the Apple logo loading screen after initiating the watchOS 5.1 update. 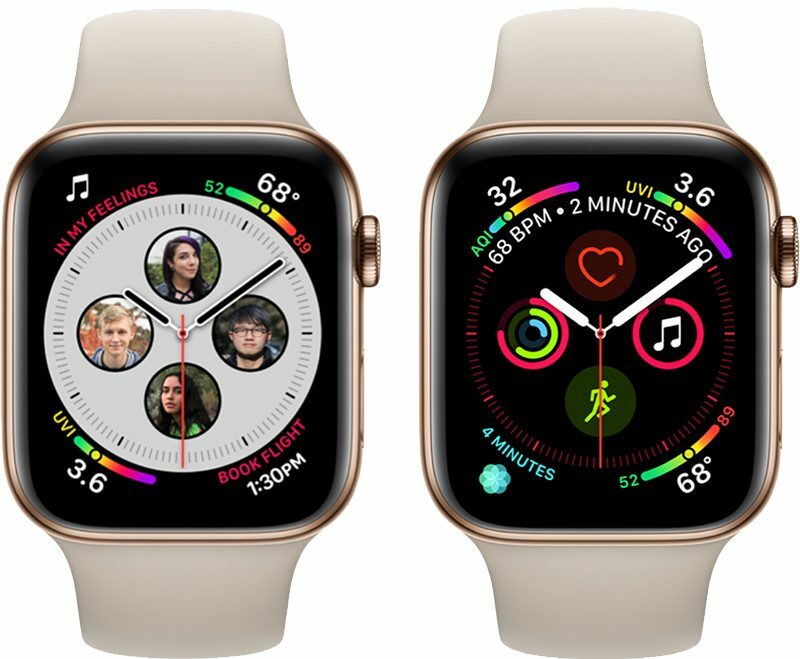 It appears affected users have the Apple Watch Series 4, which is the newest Apple Watch that was released in September. Some MacRumors readers have said that Apple is going to be shipping out replacement watches for those who have been affected. Not all customers who have an Apple Watch Series 4 have had problems installing the watchOS 5.1 update, but as a cautionary measure, it's worthwhile to hold off downloading and installing the software until Apple pushes a fix. Apple has not pulled the watchOS 5.1 update as of yet. Update: Apple has temporarily pulled the watchOS 5.1 update. Can anyone explain why Apple didn't implement a DFU restore procedure for the watches? It shouldn't be possible for these devices to brick. They should have implemented plugging the charger puck into a computer and using iTunes to restore it, just like you can an iOS device. Weird. This was by far the fastest and smoothest Apple Watch update I've ever seen. Took all of 10 minutes tops from start to finish on my Series 4. Nothing like the sometimes 1-2 hours I've seen in the past on my previous S0 & S1 watches. I often say this each time an update comes out: WAIT A FEW HOURS. But there is always some jerkoff in the comments who thinks they know better and says that there is nothing to be worried about. Just wait a few hours! Patience. Tim would like to thank you for paying $400 dollars to be a beta tester. All good on my Series 4. Took about 15 minutes. The charging puck does just that, it charges. There isn't some magical data transfer going on there unfortunately. 1. Hold the Digital Crown and the side button together until it powers off. 2. As soon as it goes to black, and before the Apple logo comes back, continue holding the side button, but let go of the Digital Crown. 3. When the Apple logo does appear, hold the crown down once again. 4. As soon as it’s back to black, let go of both buttons. When I spoke to support, they made it seem that this would be a software only fix and not a swap. So it’s best to follow these steps, preserve the display and not risk a burned in logo. Looks like I'm one of the unlucky ones. Mine is bricked too! Such BS. As soon as I couldn't get past the Apple logo I came here and saw the article. Wish I had known ahead of time - would've saved myself the headache. Went through the normal channels - online chat, spoke on phone and the person I spoke to was acting as if this the 1st time hearing of the issue. Said I'd need to make an Apple Genius Bar appointment to have them look at it. Really? You know what the issue is! Why he couldn't just start the replacement process now is beyond me. So the earliest appointment I could get (that is conducive to my work/life schedule) isn't until Saturday. Such a waste. I'll walk in there, they'll test it and then tell me it needs to be replaced. Which means I'll have to wait another week or so until I get a working watch again. [doublepost=1540952576][/doublepost]Does anyone know if there is a way to power my paperweight down? Or will it stay on the apple logo screen until the battery dies? Patience shouldn’t be required with an update that’s not a beta. This is like being expected to test gasoline before fueling your car. Ridiculous. You have to update iOS first for it to pull the new corresponding Watch update. It has been this way since watchOS 1.0. You can’t update to watchOS 5.1 until you update to iOS 12.1.